Your baby may soon be walking, if he isn’t already. As he becomes more mobile, his interest in noisy, boisterous activities is likely to increase. At least he will be getting plenty of exercise! Communication is becoming more two-way now and your baby enjoys these conversations. If you ask him where his nose is, he may be able to point to it. As his understanding grows you can start to teach him manners, such as saying please and thank you. You may be able to persuade him to help tidy up his toys, too. How much does a 1-year-old weigh and how tall is she? The average weight for a 1-year-old baby is 21.9 pounds for girls and 21.3 pounds for boys. Average height (formerly known as length) is 29.1 inches for girls and 29.8 inches for boys. Baby’s probably tripled her birth weight and is about 10 inches longer than she was at birth. Nap time gives you a little bit of downtime to rest and recharge yourself or to get jobs done. But as your baby approaches his first birthday, he may begin to resist taking naps. His growing independence may also mean that he makes a fuss at bedtime. 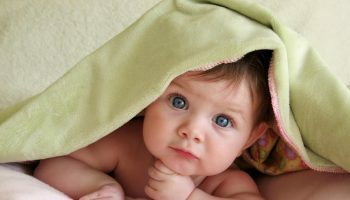 To help get your baby to sleep, follow a well-established bedtime routine, which may include a bath, or a massage. This may help him to settle and learn to sleep on his own without you soothing him to sleep. It’s a good idea to go through this same pattern of activities every night in the lead-up to sleep. You can also read him a book, sing songs, or play some music before putting him in to bed. Whatever you do, make it a pleasurable, consistent routine with plenty of time for cuddles to help your baby relax. 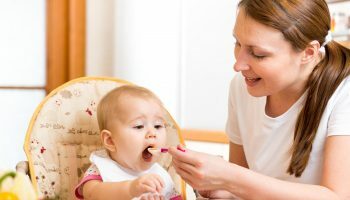 One-year-olds are notorious for not eating a lot, so don’t worry too much if baby’s appetite starts to lessen over the next couple months. You can expect your child to eat about a quarter of a cup of each food group at every meal. Don’t worry too much about having her join the clean plate club. One-year-olds are very good at judging when they’re hungry and when they’re full, so if she stops, she’s had plenty to eat. 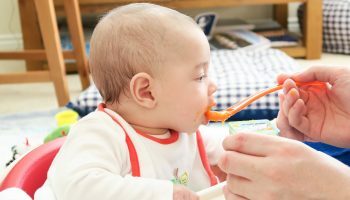 Your 12-month-old baby can eat most things you do! So long as it’s nutritious and soft enough for her to gum if she doesn’t have many teeth yet. Take baby to her 12-month checkup. 1-year-old vaccine schedule: At 1-year-old, vaccines recommended by the American Academy of Pediatrics are the MMR (measles, mumps and rubella) and chickenpox (varicella) immunizations. 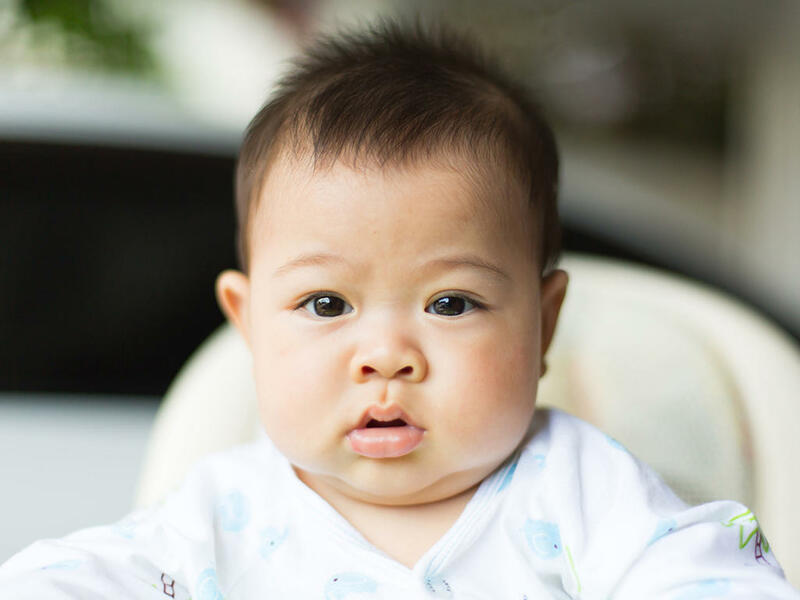 Baby’s doctor may also recommend the Hepatitis A vaccine and/or the fourth dose of the Hib and PCV13 vaccines, but those could also be given at the 15-month checkup. To help one-year old baby’s language development, read to her every day. If you speak a second language, use it around baby. Check to make sure baby is in the correct car seat for his height, weight and age. In fact, Consumer Reports recommends a convertible car seat for a 12-month old baby. So it might be time to retire baby’s infant seat, in order to keep her safer. Start weaning baby off the bottle (slowly switch to sippy cups) and the pacifier if she takes one.